Finding a job in New York City is often thought of as no easy feat, but that’s not necessarily true. Yes, it’s true that New York is one of the most populated cities in the country, and as such, there’s a great deal of competition for any jobs in New York City that do become available. However, New York is also a city of major opportunity and one that rewards the efforts of innovative and creative individuals who know how to make an opportunity where it seems like none exist. With this in mind, finding a job in New York City is just a matter of knowing where to look. The numbers support this assertion. New York State has experienced amazing job growth over the last year, with some 2% growth in the private sector on the whole, and a job recovery rate which is well ahead of the national average. At the center of this growth, of course, is New York City itself, the heart of the state. New York City has added some 70,700 new nonfarm and private sector positions in the last year, for an impressive growth rate of 1.9%.1 This means that those looking for a job in New York City stand a much better chance of landing jobs sooner rather than later compared to many other job seekers across the country. There are other reasons to fall in love with New York City besides the job market. Located on the upper East Coast of the United States, it’s very easy to get around New York City that you have to wonder why other cities have not followed suit. In fact, many people don’t even bother with the expense of maintaining a car to get to their job in New York City because there are excellent ferry and subway systems, taxis, buses, trains and shuttles. New York City is considered a year round destination for tourists which gives you an idea of its livability in terms of weather. It’s a mild climate punctuated with snowstorms every now and then in the winter. The typical daytime temperature in July, the warmest month, is in the mid-80s and the typical temperature in January, the coldest month, is in the upper-30s. Of course, when considering finding a job in New York City it’s usually not the climate that first comes to mind. It’s the excitement, variety of attractions, creative arts, entertainment, diverse population and just the simple fact it’s a hub for global business and travel that makes it so attractive. Whatever you want to do or experience, New York City has it from Broadway to Wall Street. There are over 800 languages spoken which gives you an idea of the incredible diversity of the city, and of course this diversity equates to a rich cultural experience in the way of restaurants, theaters, schools and museums. While seeking a job in New York city, it may be helpful to pick up an Employment Guide NY. Though jobs in New York City are more plentiful than many other locations, actually finding a job in New York City requires knowing where to look. The jobs that have appeared on the market all tend to fall within certain sectors, meaning that looking for a job in New York City in one of these sectors would yield the best chances of finding employment. Careers in New York City can be found by utilizing resources such as job boards, employment agencies and resources such as the New York Times. You may also contact GoGetterCareers.com so that we may assist you with your job search. Finding a job in New York City is much like finding a job anywhere in terms of understanding the local job market. The impressive economic recovery and job growth rate in New York City may make for an easier time in some ways, but you still have to know what sectors and industries are expected to offer the most employment opportunities and how to effectively market yourself for the available positions. 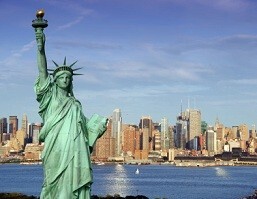 However, for many people looking for a jobs in New York City is the first option to consider.